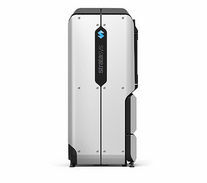 Stratasys Desktop 3D Printers build professional 3D models right at your desk – so you can hold and share your product designs fast. 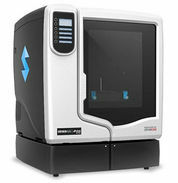 With the easiest setup and operation in the industry – Stratasys Idea Series 3D Printers make innovating effortless. 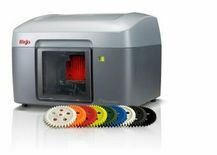 Our Idea Series 3D Printers are used most often by individual professionals, small design teams and educators. These 3D printers were made for the desktop, so most offen you’ll see them in offices, classrooms and labs. Literally thousands of people have chosen the Idea Series because it’s affordable, fast and reliable. The perfect solution for small teams who know 3D modeling is the key to effective prototyping and communication.